It’s really not very complicated to figure out the value of a business. All you have to know is who is going to be the successive owner, if anyone. First, understand what value worlds are. If you own a privately held business the difference in what your business is worth can be really big. One type of buyer will pay you three times earnings and another type might pay you ten to fifteen times earnings. You might ask what’s the difference? After all, it’s the same business. Why would different buyers pay different amounts of money for my business? It all comes down to a simple fact, it depends what the business will be used for. If you have someone who’s going to buy your business for investment purposes they’ll likely just pay you a little. If the buyer has a strategic reason to buy your business they’ll pay you more. If your business has developed a process that will be very valuable to a a new owner, they’ll likely you pay you a lot more than a financial or strategic buyer. This is why it’s really important you know who your buyer is before taking your business to market. Know who you’re likely to transfer your business to. In the exit-planning world there are some who will want to prepare you for every type of business transfer possible. Here’s a secret for you. There aren’t many ways you’re going to transfer your business. In fact, you probably know if there’s anyone out there who will buy your business right now. This is where you have to be honest with yourself. You can’t just put a stupid number on your business value just because you think you deserve that amount of money. No one cares what you think you deserve. People buy businesses for their reasons and not yours. You can never forget this. Know what the motivations are for people to buy. One of the ways you can increase the amount someone is going to pay you for your business is to understand what the motivations are for your potential buyers. If you can help a buyer understand what the value is in your business, they might just pay you more money. Successfully selling your business takes hard work on your part. In fact, you’ll feel like you’re working two or three jobs while trying to sell your business. Put yourself in the buyers shoes. If you can pretend you’re buying your own business you’ll learn about how potential buyers think. You have to be brutally honest with yourself when doing this. You can’t dream about all of the great things a buyer is going to do with your business. You have to think honestly about what you’ve done and whether you would value them if you were the buyer. If at the end of this analysis you decide your business isn’t very salable you can always decide not to sell right now. You can spend a year or two fixing the problems that keep your business from being attractive. This is often the conclusion our clients come to when we discuss selling their business. Sometimes your business just isn’t transferrable. Here’s a sad fact about your business. There’s a good chance that no one will want to buy it. If you have a very small business and the business is based on your efforts, you’re not going to get very much for your business. You might be better off figuring out how to downsize your business and run it till you don’t want to any more. If you’re business doesn’t have recurring revenue you’re going to have a hard time finding a buyer. People who buy businesses want to make sure there’s going to be revenue in the future. 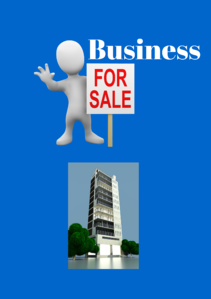 If your business is a construction business or like a construction business where you’re as good as your last job you’re going to have a difficult time selling it. Most of the time you can fix the problems before trying to sell. Be honest with yourself. It’s the best way to know whether your business is one someone else would want to own.